If you’re into archaeology or history, the Israeli city of Beit She’an (“House of Tranquility”) is a not-to-be-missed itinerary item for any tour of Israel – especially during the winter months, as during the summer this part of Israel is one of the hottest places on the planet. Thanks to the Roman penchant for grand building projects, you can easily spend a few hours exploring the vast Beit She’an national archaeological park with restored ruins of the 7,000-seat Roman theater, Byzantine bathhouse, decorative fountain, colonnaded streets and gladiator amphitheater. “Like the Colosseum in Rome, this oval structure was used only for blood sports to keep the Roman troops entertained while they were stationed in Beit She’an during the Second Temple Period,” says licensed tour guide Moshe Friedman. In modern times, Beit She’an is a quiet provincial municipality of 17,000. But back in its Roman heyday, it attracted perhaps 40,000 residents due to its strategic, fertile and picturesque location at the crossroads of the Jordan and Jezreel valleys. 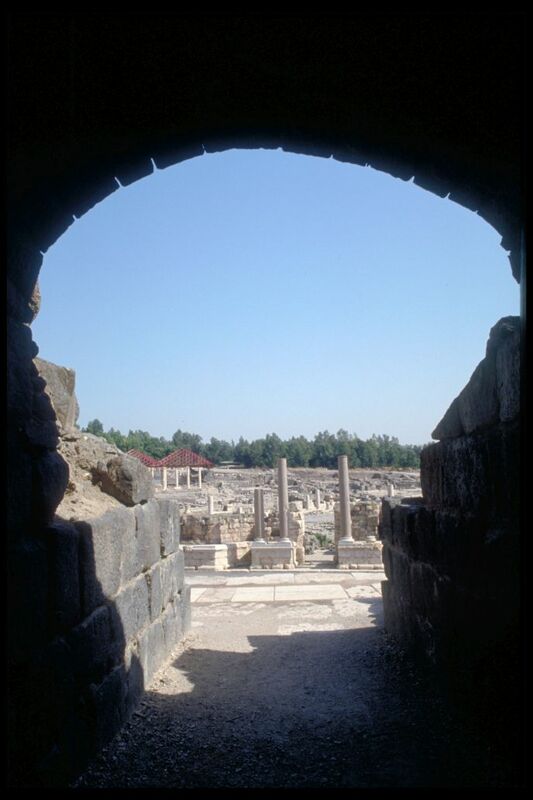 Friedman says Beit She’an has been continuously inhabited since the Egyptian period. “Beit She’an sits on ‘Kings Way,’ a natural roadway from Egypt to Damascus, so it was important during the Crusader period as a connection point between the culture center of Egypt and the mercantile center in Damascus,” he says. Plenty of grisly history took place here, too. 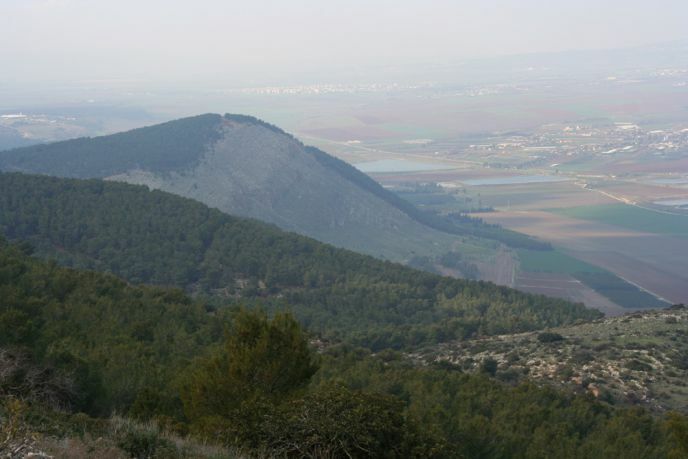 This is where, according to the book of Samuel, the Philistines hung King Saul’s body on a wall after the biblical battle on nearby Mount Gilboa (see below). And this is where a monumental act of arson – probably ordered by the king of Assyria in 732 BC–destroyed the city that was strategic to the kingdoms of David and Solomon. Under Roman rule, Beit She’an expanded southward and reached its peak of greatness in the fifth century AD. It was the capital of a group of 10 city-states and even minted its own coins. “During the second revolt, the Jews of Beit She’an didn’t side with the rest of the country against the Romans,” Friedman says. Nevertheless, these local Jews were murdered by their pagan neighbors, perhaps with the complicity of the Roman authorities. All of this comes alive in the “Beit She’an Nights” sound-and-light show produced by Israel’s renowned Disk-In Pro, the same company behind the Olympic Experience Museum in Tel Aviv. Groups can reserve a showing for Mondays, Wednesdays, Thursdays and Saturdays. Bear in mind that the Beit She’an Valley is consistently cited as one of the hottest places on earth. But if you cannot schedule your visit for the cooler winter months, plan on taking an air-conditioned break at a nearby mall with stores and restaurants. While you are in the Beit She’an Valley, it’s worthwhile to explore nearby Mount Gilboa, with its 11 peaks and lots of picnic spots. In Kibbutz Heftziba, at the foot of the northern slopes of Gilboa, Beit Alfa Synagogue National Park houses Israel’s best-preserved synagogue mosaic floor from the sixth century. A Roman-era bridge, a Crusader fortress, a mosque from the Mamluk period, a Turkish government house, an Ottoman fort and several basalt stone houses from the period of Arab conquest of Beit She’an are all open to tourists. The Belvoir (or Kochav HaYarden — Star of the Jordan) National Park is dominated by a Crusader castle, built around 1140, perched high above the Jordan Valley about nine miles uphill from the Beit She’an Valley. Just north is a feeding station set up to strengthen Israel’s Griffon vulture population. The Beit She’an Valley houses several kibbutzim that offer attractions of their own. 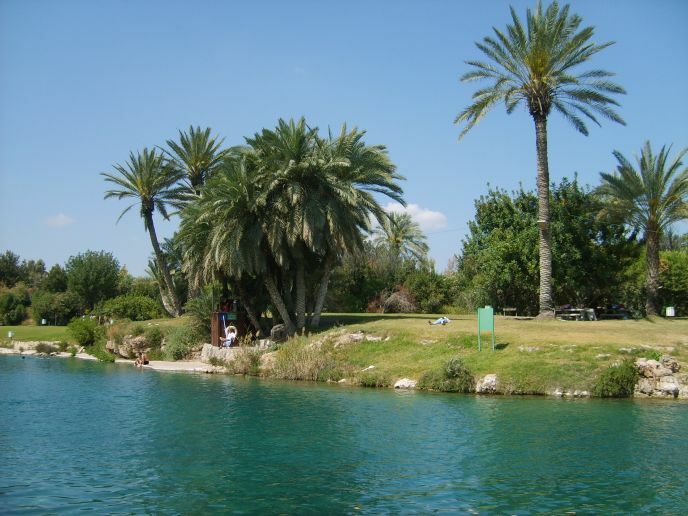 Kibbutz Nir David operates the popular nature and wildlife sites Sachne-Gan Hashlosha and Gan Garoo. Sachne has natural pools fed by hot springs and a stream with mini waterfalls. “It’s very refreshing, when it’s warm outside, to take a dip in the stream, and the picnic area is great for families, especially in summertime,” says Pollack. Gan Garoo, a unique Australian park, lets visitors feed and pet the free-roaming kangaroos and cockatoos, and watch the koalas, cassowaries and flying foxes. Kibbutz Nir David was one of 52 tower-and-stockade settlements built by Zionist immigrants during the British Mandate in the late 1930s to early 1940s, and a museum on the grounds is devoted to this historical era. “This gives you a feeling of what it was like to be a pioneer in the valley,” says Pollack. He recommends the Bio-Tour at Kibbutz Sde Eliyahu, where an industry called Bio-Bee Biological Systems sells specially bred fruit flies, bees, and other insects, as well as nesting owls, to farms in 30 countries as natural pest control. Overnight accommodations are available at Kibbutz Nir David, Kibbutz Tirat Zvi and Kibbutz Shluchim, as well the Beit She’an Guest House and Ma’ayan Harod Guest House at the foot of the Gilboa Mountains.